Discrimination against women starts at birth. Gender lines are drawn early, and exclusions for women continue throughout adulthood. These constant messages may lead to a false belief that women do not belong in the corporate world. From the moment we are conceived, both boys and girls are subjected to stereotypes. The baby aisle in stores is filled with blue blankets and clothes for boys, while adjacent aisles are filled with pink for girls. A few stores (for example, Target) are slowly starting to steer away from gender-focused marketing, but stereotypes still persist. Challenges in the form of discrimination for women begin in childhood as young girls may be brought up to believe that they are only suited for certain professions or, in some cases, only to serve as wives and mothers. Gender lines are drawn early, and exclusions for women continue throughout adulthood. Studies show that teachers still give more time and attention in math and science to boys while giving more to girls in language arts. Since math and science are vital skills for many male-dominated professions, like medicine, engineering, and architecture, does this encourage little girls to focus on other areas of learning? The divergence in academic path girls and boys choose after elementary would seem to indicate, yes. In middle and high school, girls are more likely than boys to be discouraged from participating in sports, and clubs like debate, math, and science. But girls are more likely to be encouraged to participate in after-school volunteer work, social programs, and more passive activities. After childhood, young women are often encouraged, or even pressured, into pursuing an education in more stereotypical female-oriented professions, like teaching, nursing, caregiving, retail, and office administration. Women are now earning more degrees than men at every level, and with higher grades and honors. 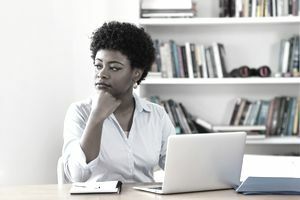 But women starting their own businesses are less likely to have a college degree in their specific industry or first-profession degree, than are male entrepreneurs. They are also less likely to get a job in a Ph.D.-related field.